Smith Bryan & Associates offers retained Executive Search and Talent Acquisition Services in the United States, Asia, and Europe with our mission being to support the growth of your business by introducing talented employees that become long-term assets for your organization. Having experience in multiple countries and markets, we rapidly learn your recruiting needs and bridge any international, cultural, and language barriers in introducing the best available talent in the market. We pride ourselves on a transparent recruitment process that employs the highest level of integrity, compassion and discretion. Our experienced team has conducted successful searches for CEOs, COOs, CFOs, Presidents, SVPs, VPs, and Directors for Fortune 500 and start-up companies throughout the United States, Asia, and Europe. We have built-out several teams for our clients in diverse markets around the World includng the US, Japan, China, Germany, and the UK. Our expertise revolves around sales, marketing, engineering, infosec, and retail teams. We are also well-versed in volume hiring and RPO solutions. We have partnered with numerous Fortune 500 internal recruiting teams in mapping out new or emerging markets or positions throughout the World. This expotentially shortens the recruiting life-cycle as we can show you what any given market looks like and provide insight into relevant candidates in a very short period of time. 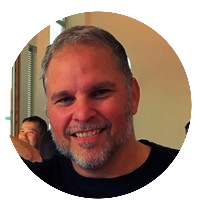 Rusty is a talent acquisition expert with over 20 years' experience in the search industry working with Fortune 500s, hyper-growth and start-up organizations in diverse markets throughout the world. Before founding Smith Bryan, Rusty was the President of a boutique recruiting firm in Tokyo and, prior to that, held leadership positions at both global recruiting firms and boutique firms focused on Executive Search and recruiting solutions throughout the US, Asia and Europe. Before establishing himself in the search industry, Rusty had a successful career in IT and Media sales. Rusty grew up in Colorado Springs, CO and attended Colorado State University. Elizabeth heads Smith Bryan's resercah team and has over 10 years' experience in both market mapping and talent acquisition research throughout the United States, Asia and Europe. Prior to joining Smith Bryan & Associates, Elizabeth was a marketing research assistant at the University of Colorado and has additional experience in banking where she held various positions in office administration and customer service. 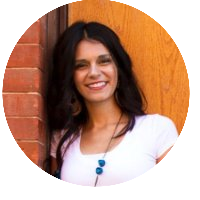 Elizabeth was born and raised in Cordoba, Argentina and holds a Bachelors degree in Marketing from the University of Colorado at Colorado Springs.